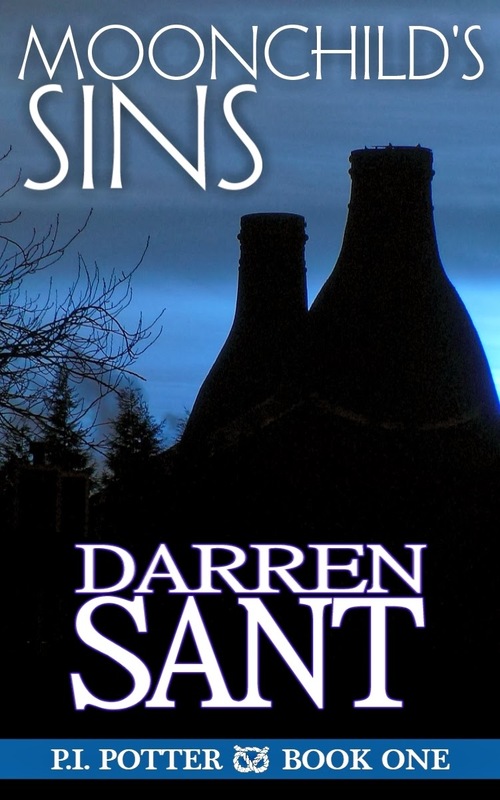 Moonchild's Sins by Darren Sant. With the rent overdue and his pockets empty, the pressure is on – but do the cases on the books offer a lifeline, or have years of reading Chandler novels left Potter deluded? Find out, as PI Potter's skills and ingenuity are tested to the limit in 'Moonchild's Sins', the first in the PI Potter series of books from Darren Sant author of The Bank Manager & The Bum and Tales From The Longcroft.